Dilip Kumar Jaiswal is Assistant Professor at Vivekanand College, University of Delhi. He earned his Ph. D. in Sanskrit from Delhi University on the topic of the Ethics in Brhathashloksangraha. 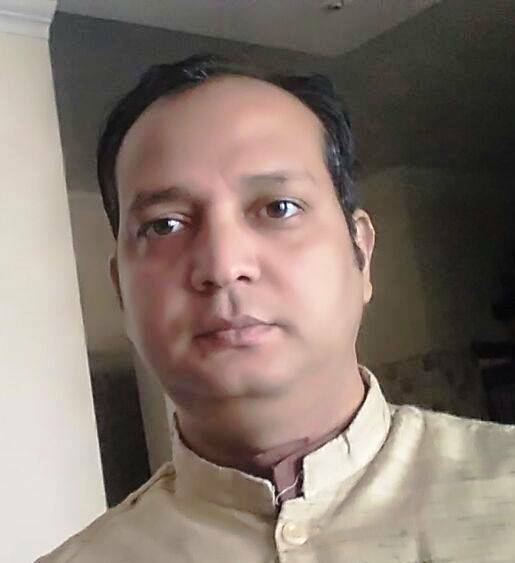 He did M.A.in Ancient History (University of Allahabad), Sanskrit (Jawahar Lal Nehru University, Delhi) He specializes in Ancient Indian Narrative Studies. He presented paper Titled “Psychological Dimension of Anand –mimansa in Taittirya-Upnishad” in Vedanta Congress, Held at University of Massachusetts, USA on 11-14 July, 2013. His areas of interest comprise Sanskrit Literature, Literary Theory and Criticism, Intellectual History, Tantra and Yoga Philosophy. Besides research and teaching, he has long experience of translation in Hindi, Sanskrit and English languages. His main focus is the study of literature as a means to reconstruct the emotional past. An inquiry into the nature of human emotions and its bearing on existential finitude and liberation, is the main thrust of his study and research. He acknowledges taking cues for his study from Continental Philosophy of Phenomenological Hermeneutics. To search and draw contour lines between Western and Indian life-worlds and seeking one inner-universe has also been his one prominent orientation of his study. Ecological approaches to the study of literature, and especially to the study of Indian Classics , also forms his main interest of study ; and he treat this under the rubric of his emphasis upon emotions vis-à-vis reason in their potential of human-emancipation. His area of interest covers the study of Indian Classics, spiritual and Philosophical tradition delineates significant insight for Ecocriticism. Indian cosmology views nature and man in a harmonious whole, where all life-forms have their due place and importance. Subjectivity, agency and teleology is well ascribed to nature and nature’s forms, which finds expression in myths, epics and other creative and reflective representations. Gender and ecological perspective of the study of Bhakti and Tantra tradition is also the area of his concern. He has been appointed as the Managing Director of FSLE-India.